A scenic and meandering river—the Dordogne—cuts through this southwestern department of France. And everywhere one turns there are castles and caves, vineyards and villages. With an excellent system of secondary and tertiary roads, cycling is the ideal way to get around. For seven days the operator Experience Plus led our group from inn to inn, marking our route with chalk, and fattening us with fromage and foie gras. Bonjour! Anyone else in Paris? In transit to Bordeaux. Good reminder. The entire wall behind this saint statue at the church of St. Pierre, in the center of Bordeaux, France, is covered with signs of gratitude. Many of the slabs are from the 1920s and ’30s. The church itself dates to the 14th century. Dusk, after the rain. Bordeaux, France. Kids of all ages love this fountain that seeps and mists and trickles and gleams with water. Bordeaux, France. 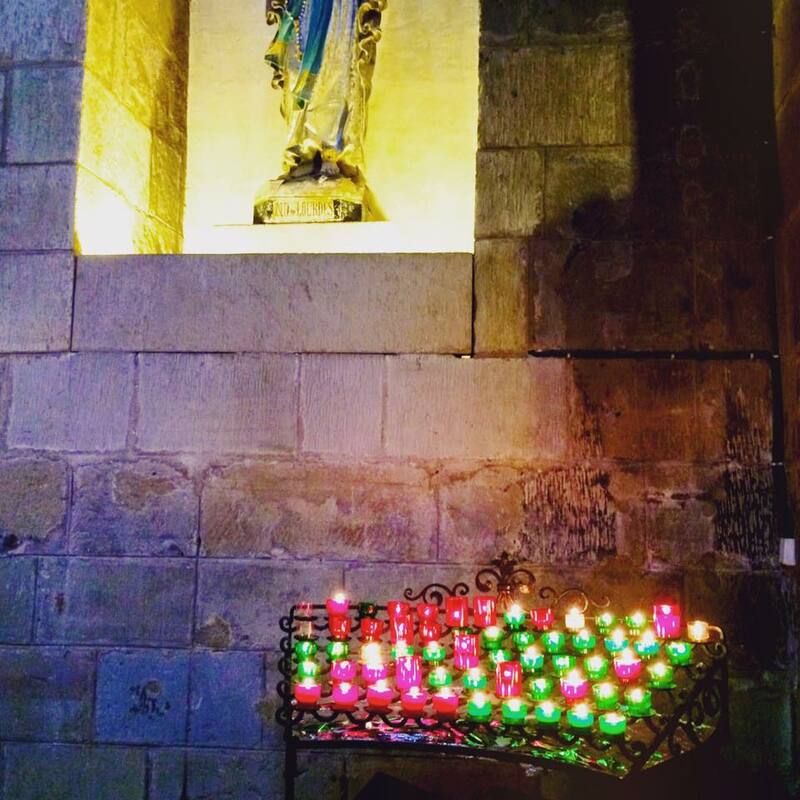 Prayer candles at the church of St. Martin in Brive-la-Gaillarde. The Dordogne, France. Nice town from which to start a cycling trip. A lovely and relaxing afternoon in Brive-la-Gaillarde after a mad dash on the train this morning from Bordeaux (cancellation, two line changes). No shortage of cafés and plazas to choose from. Beautiful indeed. Detail from Collognes-la-Rouge, a village in the Limosin area of the Dordogne. All the buildings are made of red sandstone. 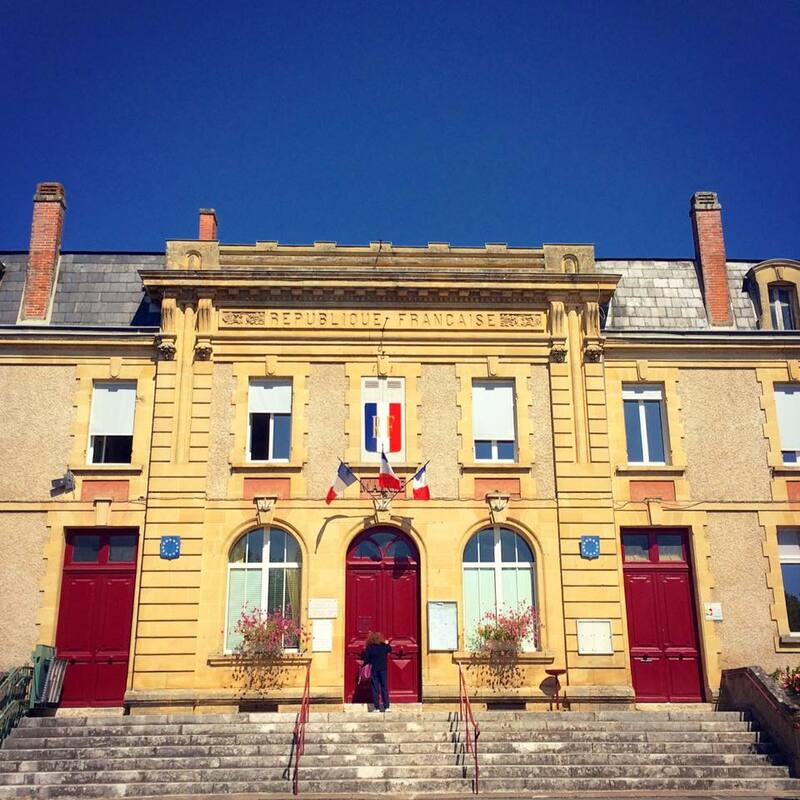 The town was the first to be designated as one of the most beautiful villages of France. 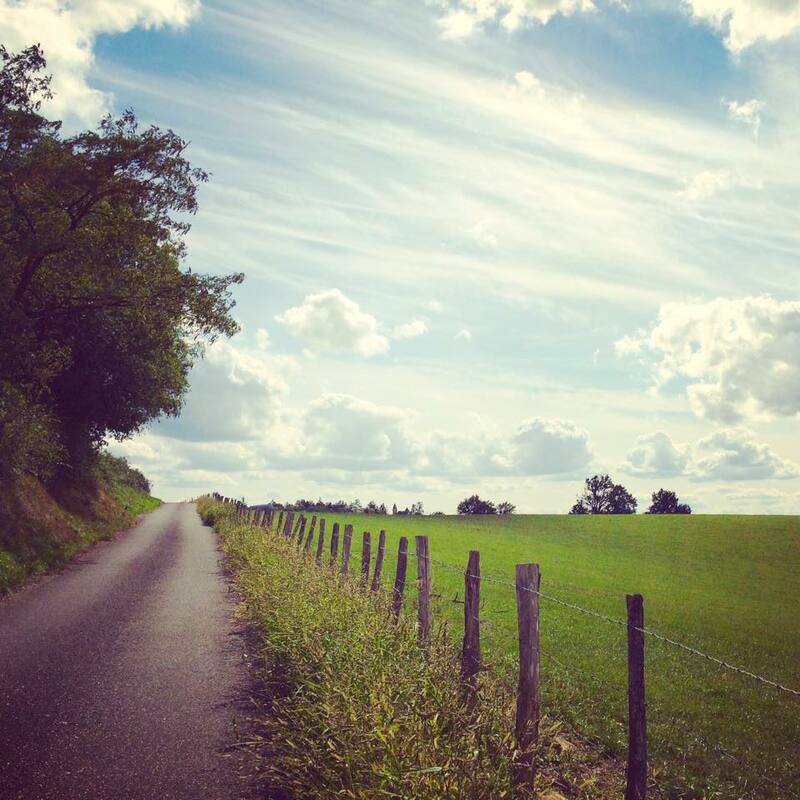 Except perhaps for the hills, cycling through the Dordogne in France is magical. Lots of small country roads with few cars. Where there are cars, they are happy to share the road. And there's always a village where one can stop for un café. 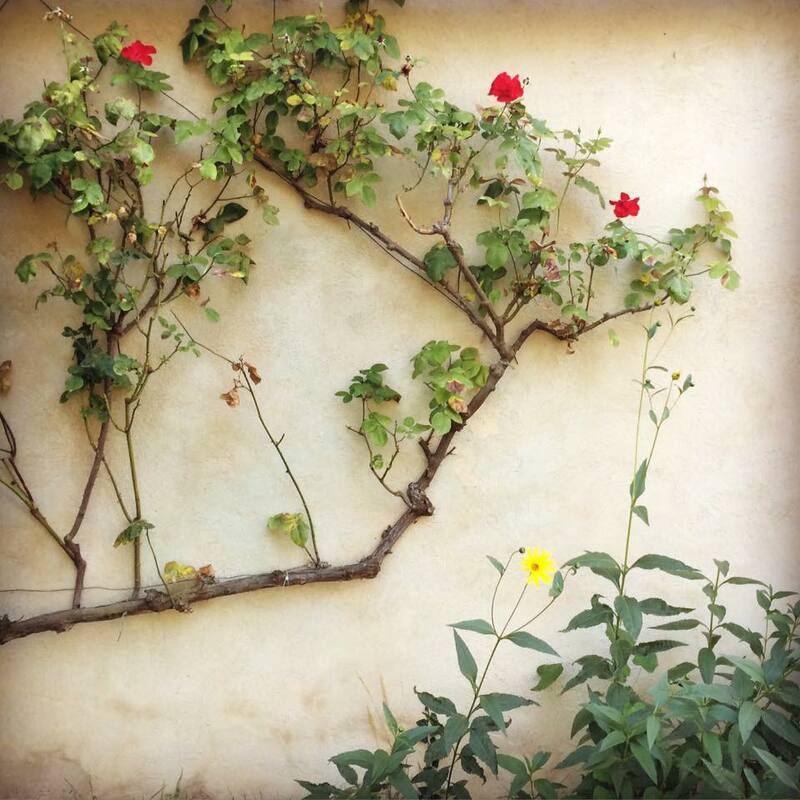 Look beyond the flowers. That’s Rocamadour, built into a cliff above a canyon and visited by Christian pilgrims starting in the 12th century. Prayer of the faithful. In Rocamadour, pilgrims climb up the steps of the Grand Escalier (some on their knees) to ask for the intercession of the Black Virgin, said to have caused miracles. 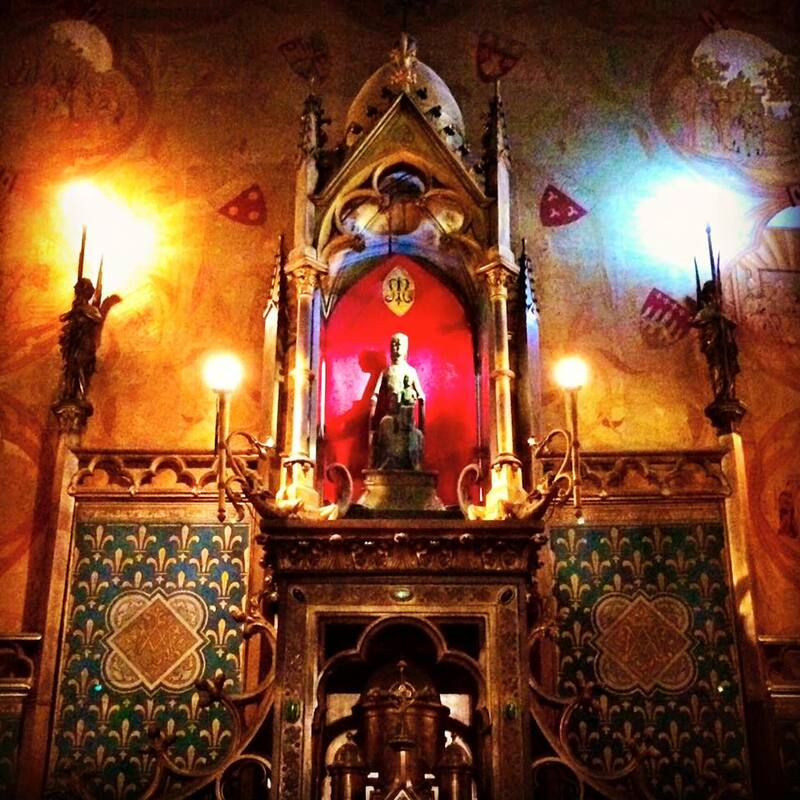 At 6 p.m., when the day trippers have gone and the Angelus bells peal, it is a soulful place. In France’s Dordogne. Votive candles, two euro donation, at Rocamadour. The Dordogne, France. Below the heavenly sanctuary of Rocamadour’s church are the earthly rows of shops which have been peddling goods to pilgrims and tourists for centuries. Here's some cute pottery. In France’s Dordogne. Salad with local ingredients: Rocamadour goat cheese, honey, walnuts, and bacon. France’s Dordogne. Hot air balloons at sunrise, Rocamadour. Dordogne, France. Visitors descend the Grand Escalier of Rocamadour. France’s Dordogne. 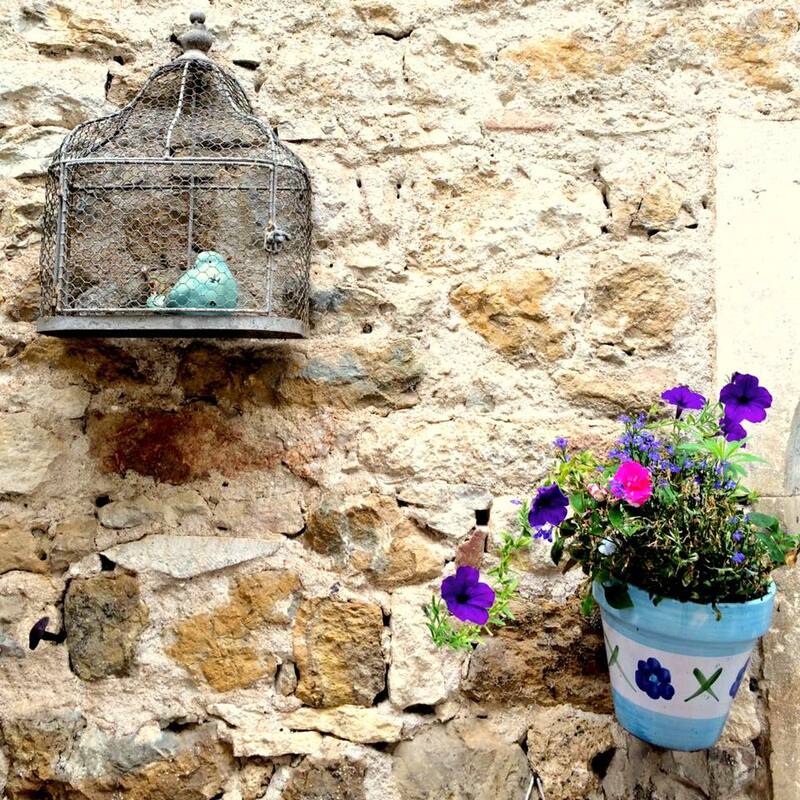 Spotted this ceramic bird in a cage while biking through the village of Carennac. The Dordogne. Don’t tell the ducks, but this is foie gras country. The Dordogne. This is also the Route de la Noix. We’re cycling through farms of walnut trees. This region also has oak trees under which truffles might grow, corn fields, and fruit orchards. The Dordogne. After cycling through medieval-era villages, we go through a dedicated bike and hike path that had once been a rail line. Carsac-Aillac, the Dordogne, France. Taken from a café across the street in Saint-Julien-de-Lampon. The Dordogne. 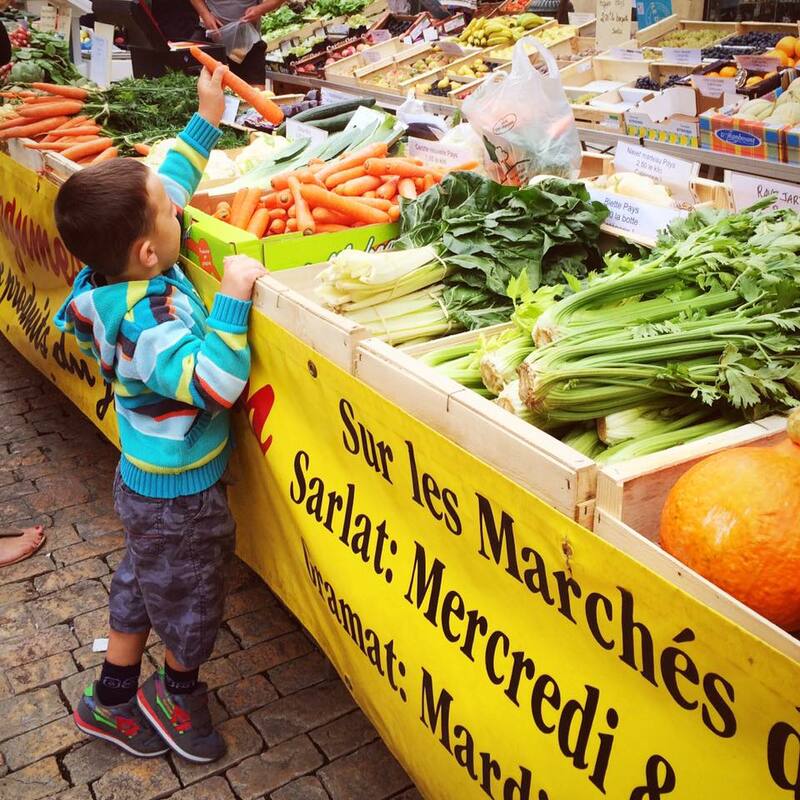 The Saturday morning market in Sarlat. The Dordogne, France. 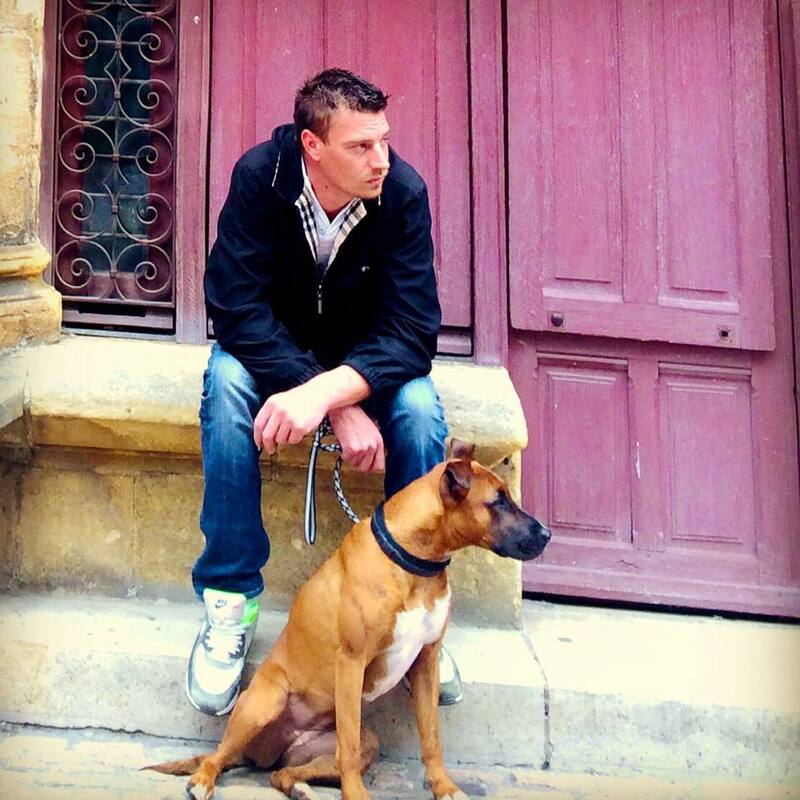 People watching in Sarlat. The Dordogne, France. 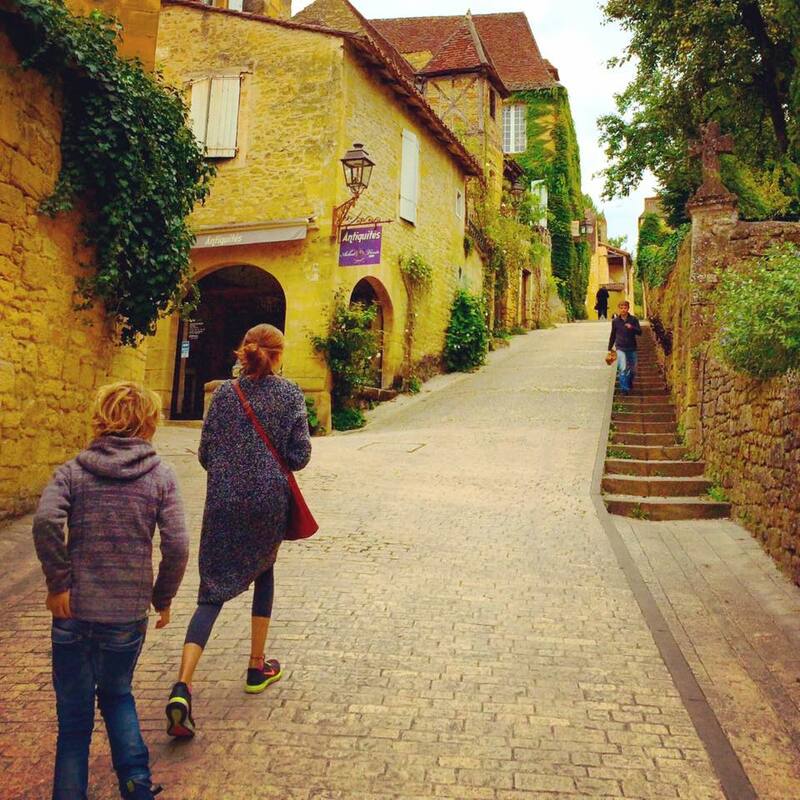 The medieval-era core of Sarlat is a marvel of cobblestone alleys and narrow streets. The Dordogne, France. C’est un artiste. 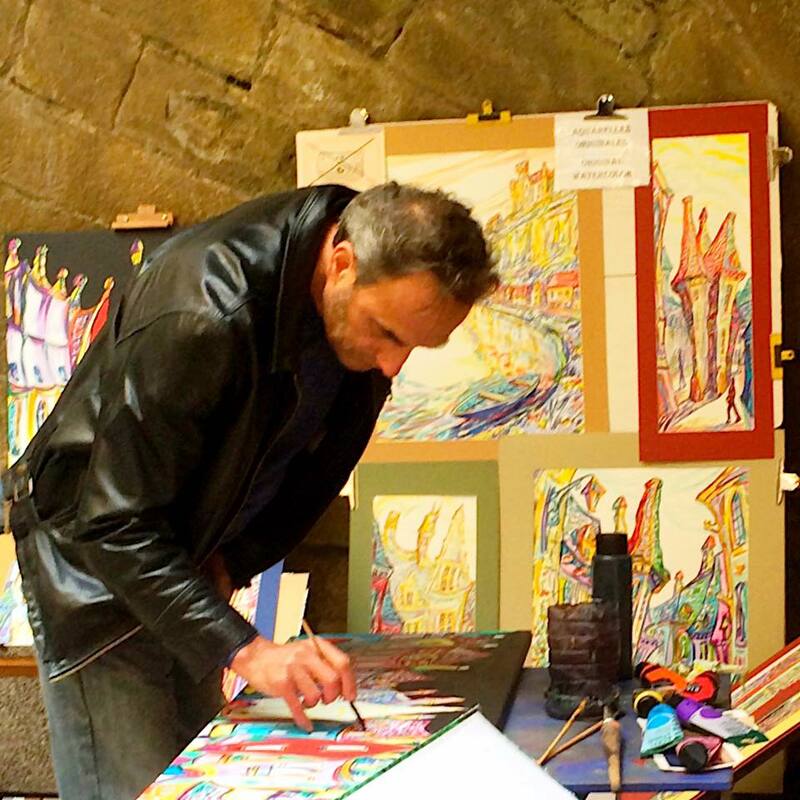 Sarlat. The Dordogne, France. Café society: People sitting around on a Saturday afternoon in Sarlat watch a street performer. The Dordogne. When you bike all day, you can eat all night. Pan-fried foie gras over roasted apple. C'est delicieux. And this was just the starter. Good food, good company. L’Adresse, Sarlat. The Dordogne. 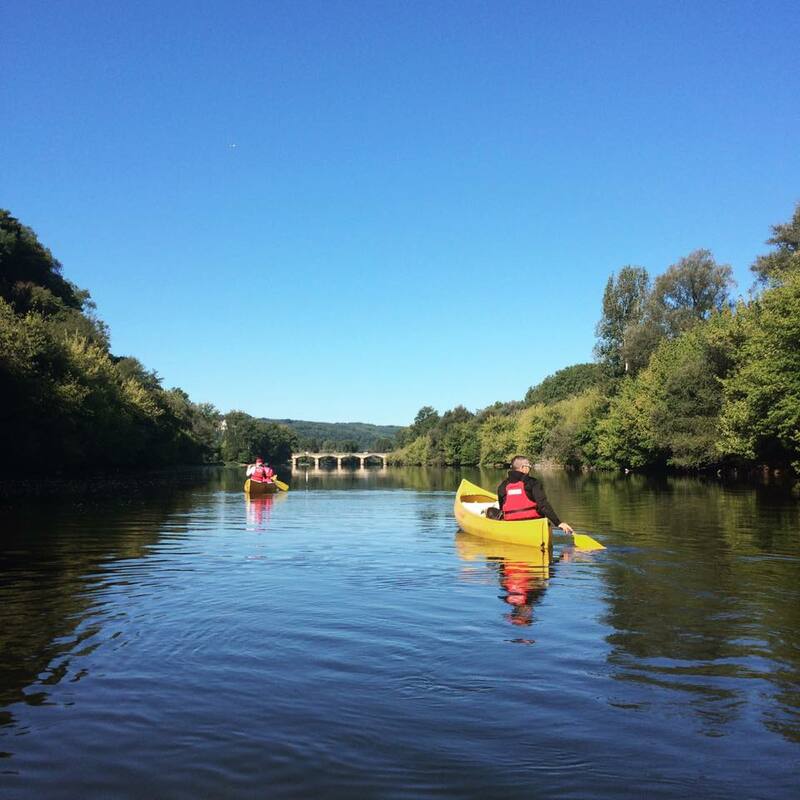 The Dordogne is actually a beautiful, verdant, and meandering river, and you can go on it by canoe. Another great vantage point from which to see the area. There’s a fortified hilltop chateau seemingly around every river bend. This region was famously fought over by the English and the French during the Hundred Years War, which of course was itself famous for not being a hundred years long. The Dordogne. Castle with a view: from the ramparts of Chateau de Beynac. The Dordogne. Through the window of a restaurant in Sarlat. The roast duck was divine. The Dordogne. A coffee stop at St.-Leon-sur-Vezere; watched kayakers float by. The Dordogne. The reward after climbing a hill is the view: the oxbow curve of the Dordogne, near Limeuil. The boot camp and spinning training are paying off; thanks Jeff Mccaslin and Tracy Field Davis! I arrived just as the noon church bells were pealing. Mauzac, in the Midi Pyrenees, on the road to Bergerac. City hall, Lalinde. The town was founded in the 13th century by Henry III. The Dordogne. Canal road, right outside Lalinde. Beautiful, indeed. On the road to Bergerac. France. Canal road, outside Lalinde. On the road to Bergerac. Our auberge for the evening is an estate in Le Bignac, outside Bergerac. It’s a like staying in the country home of rich relatives who happen to be lesser nobility. To the manor born: Nice mix of period and contemporary touches at our hotel near Bergerac, France. The gardens and grounds of this estate are lovely and inviting. At Chartreuse du Bignac, near Bergerac, France. I wouldn’t mind being chatelaine of this estate. The grape harvest in this region will soon begin. In Saussignac, France. 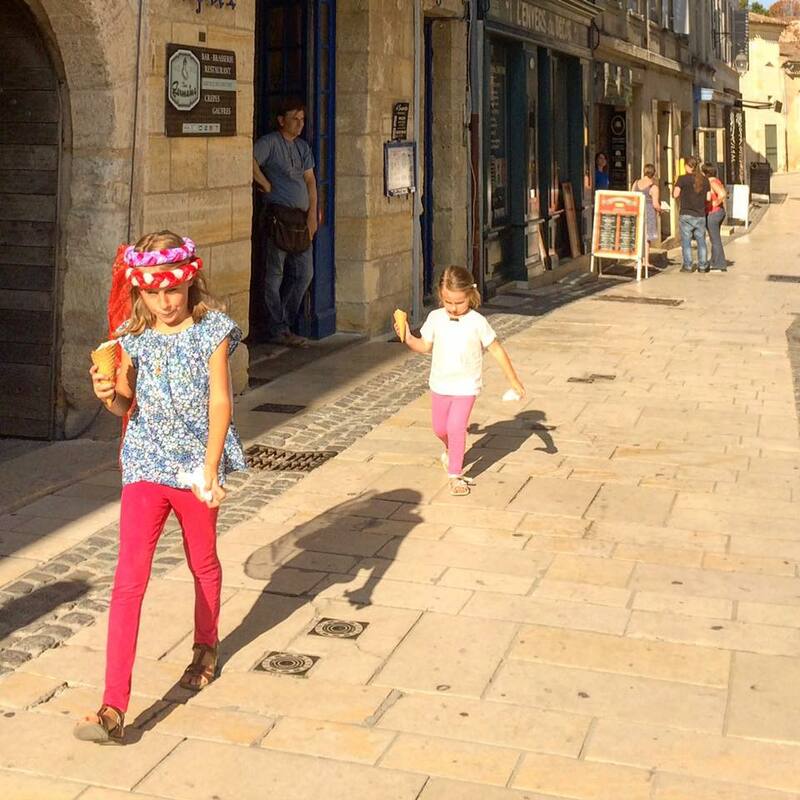 Saint-Emilion, famed for its wines, medieval city (some of it underground), and macaroons. 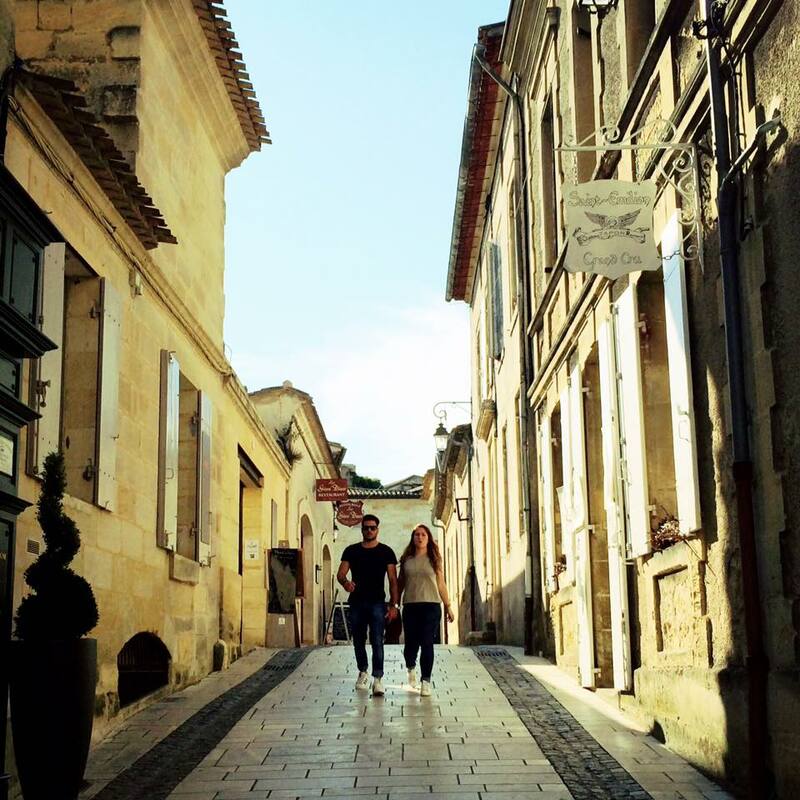 The UNESCO World Heritage site of St.-Emilion, France. The city began in the 9th century around a monk named Emilion and grew to be a big pilgrimage site in the Middle Ages; it’s on the way to Santiago de Compostela. Café society: an outdoor cafe in Lussac. About a week before the grape harvest in St. Emilion, France. Douceur de vivre, the sweetness of living. At a plein air cafe in St. Emilion. 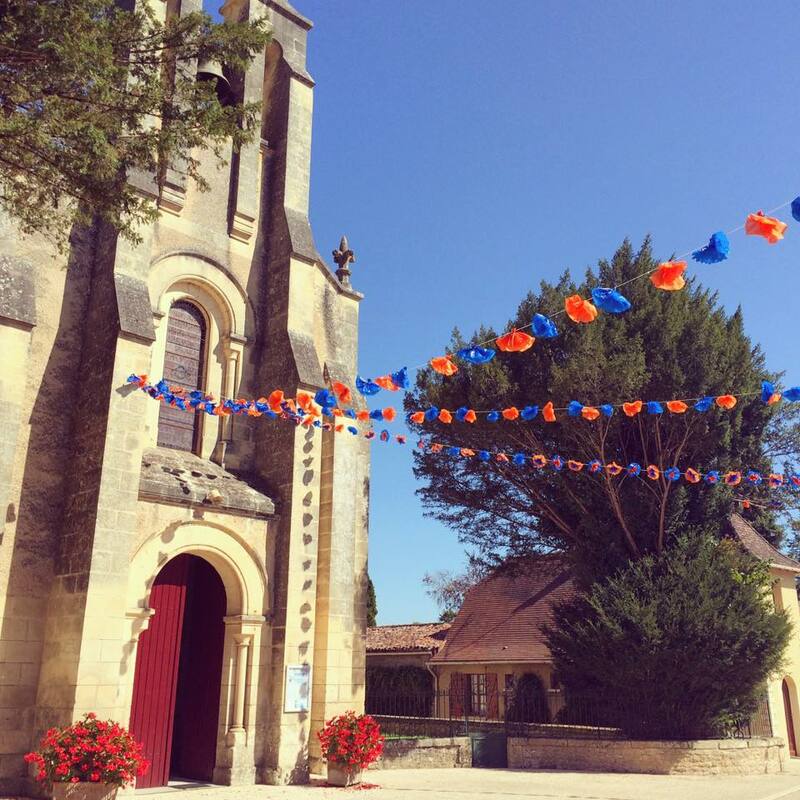 Great guides: I’ve been cycling through the Dordogne for the last 10 days, seemingly effortlessly. These are the dynamos who guided our group and made sure we never got lost, had plenty of good food to eat, and learned the difference between a premier Grand Cru Classe A and a Grand Cru Classe. Merci beaucoup, Charles, John, Roberto, and Bruno. Thanks, Maria Elena and Monica, and Nancy too.